Uber Mini has been introduced in Islamabad and Rawalpindi connecting Pakistan’s twin cities to offer safe rides at very cheap and affordable prices. 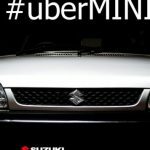 Suzuki Mehran will be used as a ride for Uber Mini. The idea behind launching this is to provide rides to the customers at less price than before. You can easily book a car form using Uber mobile phone app and Uber will connect you to the closest Uber Mini partner. You‘ll see driver’s photo, car registration number, type of car and the car’s current location. You can also use the ‘Share my ETA’ feature with your family and friends so they know your current location and your route. 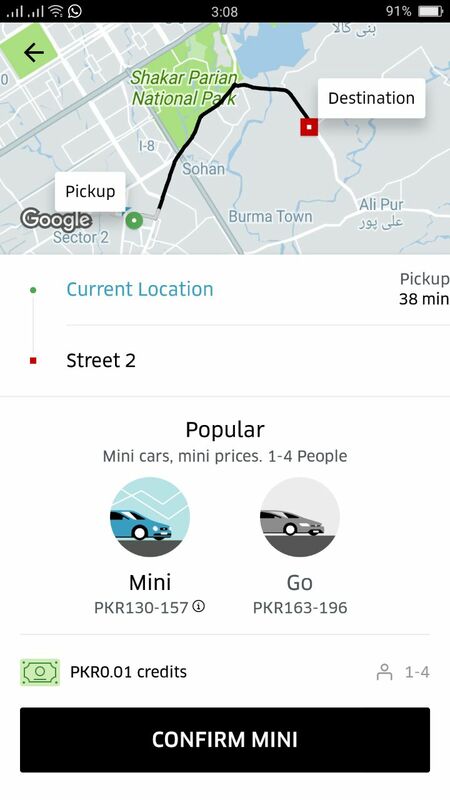 Uber Mini is only available in Islamabad and Rawalpindi for now but Uber is trying and hoping to introduce Uber Mini in other cities as well in future. The Uber Mini is offering its customers an opportunity to travel at cheaper rates. Uber is offering free rides this weekend from 27th April to 30th April to in order to establish a strong relationship with its customers. You can use the promo code “UBERLOVESISB” and can avail 5 free rides of Rs. 250 each. According to Uber’s official statement, people can use Uber Mini to travel from one location to their destination place at a very affordable price.